In my world, accessories are Queen and The Black Box Boutique is definitely a palace to call home. Nestled in a 2nd floor Victorian on Yorkville Avenue with exposed brick walls and tons of sparkle in every corner it's the perfect go-to spot for accessory lovers who want to stand out, whether you're looking to add to that growing arm party, shopping for special occasion bling or just in the mood to treat yourself to a little something fabulous. Shop owner and jewelry designer, Lilla Balint has an eye for statement pieces and a love for local design so you'll find tons of Canadian baubles from favourites like Headmistress amidst more well known imports like Toywatch and treasures from international labels. If you're worried the upscale address might come with nose in air treatment and astronomical prices, think again! Balint is warm, gracious and a godsend to any gal (or gent) needing advice on how to finish their look and while there are definitely some investment pieces on the shelves, it's easy to treat yourself to something new without breaking the bank. The Black Box Boutique is located at 106 Yorkville Avenue, 2nd Floor, Toronto, ON M4R 1B9. Telephone 647-748-8787or visit online at www.theblackboxboutique.com for store hours, exclusive in-store trunk shows and special promotions. 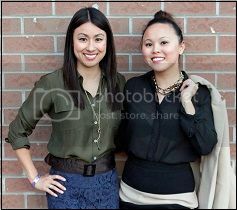 -- Tamika Auwai is our resident Style Editor, Shopping Enthusiast & Wardrobe Expert.